Constructionism as an educational theory is student-centered and emphasizes discovery learning, where students are encouraged to work with tangible objects in the real world and use what they already know to gain more knowledge. The point is to make the process of thinking and learning visible and to allow for a more process-oriented engagement with an idea via construction and deconstruction. Under constructionism, teachers take a backseat role as facilitators of student learning instead of giving lectures or step-by-step instruction. Seymour Papert, a leading constructionism advocate and researcher, is for bringing technology into classrooms as much as possible. Constructionism can mostly be found being used as an educational tool in science and math classrooms, though it is spreading to other subjects as well. Today, there is an increasing popularity for robotic technologies used in the classroom. Specifically, there has been a focus on “white-box" digital tools, which teach the user or builder about the structure of the technology itself, in contrast to “black-box" software or technology, which conceals the method of its creation and is closed to any modifications by the user or builder. A black-box robot is a pre-programmed robot that might perform actions or complete tasks for the user, but is not open to additional programming nor revealing of the way in which it was made. It performs a pre-specified function and does not contribute to any learning on the part of the user in regards to how it is built or how it works. A white-box robot, on the other hand, or a white-box set of robotic technologies, might make the process of building robots transparent so that the user can build and program a robot for themselves. Two examples of tools that allow for white-box educational robotics are the Lego Mindstorms and Pico-Crickets kits. Lego Mindstorm kits come with software and hardware that builders can use to create and program custom robots. One drawback to this white-box approach of using educational robotics is that users tend to approach a plateau, where it is difficult to advance beyond a certain point and create more complex robots. Starting from scratch can mean more work up-front on the part of the user or learner to get anywhere substantial. There may come to be more of an emphasis on manipulating and controlling robots and their environments in the field of educational robotics rather than focusing on a completely white-box approach. Learning to control robots using different devices may introduce important concepts as well. It may not be strictly necessary to start with students building and programming robots from a blank slate to introduce important ideas in robotics and technology. Educational robotics can take two forms. The first is that robotics itself and other related topics (artificial intelligence, robot mechanics, etc.) are the learning objects and the focus of study. The second is when robotics is used as a learning tool for illustrating concepts (widely in math, science, and technology). Beyond teaching students about technology and assisting with other school subjects, educational robotics can also impart engineering skills and problem-solving skills. Students also exercise their creativity and collaboration skills. The iterative process that is typically involved in building and programming a robot allows students to experiment and see the tangible effects of their experimentation. Papert argued that fear of being wrong holds students back from learning. When building a robot, however, students must make mistakes and become good at identifying them. The question becomes not whether something is right or wrong, but rather if it is fixable. This encourages students to think critically about what they are building and to try and try again until they have a working robot. Papert further states that children, even without being taught, learn and develop their thinking. Constructionism in educational robotics, then, plays the role of providing the rich toolkits and the environment needed for students to foster their own learning. In Blocks to Robots, Marina Umaschi Bers illustrates constructionist methods for employing educational robotics in the classroom. 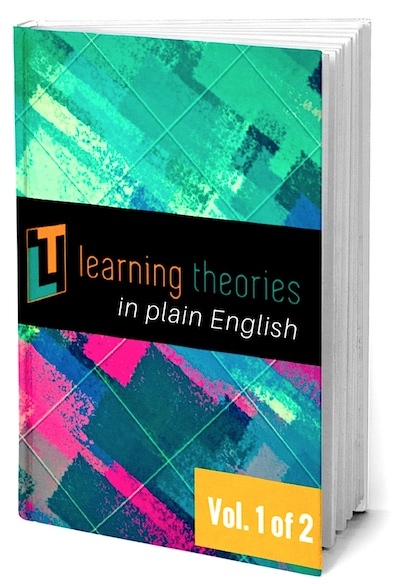 The book contains practical examples for an early childhood classroom. Constructionism in Practice: Designing, Thinking, and Learning in A Digital World presents a well thought-out examination of constructionism and its impact on student learning. Yasmin Kafai looks at a number of different aspects to constructionism as practiced in the classroom: social and community impact, design thinking, systems thinking, and constructionism’s intellectual background. Papert, S., & Harel, I. (1991). Situating constructionism. Constructionism, 36, 1-11. Alimisis, D., & Kynigos, C. (2009). Constructionism and Robotics in Education. In D. Alimisis (Ed. ), Teacher Education on Robotic-Enhanced Constructivist Pedagogical Methods (pp. 11-27). School of Pedagogical and Technological Education. Papert, Seymour. Mindstorms: Children, computers, and powerful ideas. Basic Books, Inc., 1980. Please cite this article as: David L, "Educational Robotics and Constructionism (Papert)," in Learning Theories, February 14, 2016, https://www.learning-theories.com/educational-robotics-and-constructionism.html. 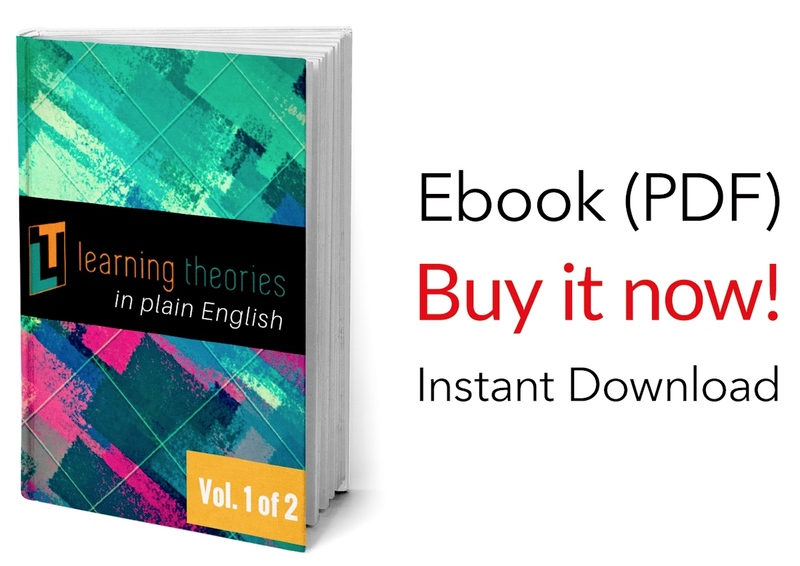 © 2019 learning-theories.com - All rights reserved.